In context, the last ten years have been the hottest decade on record. Last year was the 9th hottest year on record and the hottest La Nina year on record. July, last month, was the fourth hottest July on record globally, and the hottest month on record ever for the United States. Climate change deniers have often misused the argument that the current rise in temperature has been small. That the rise is somehow insignificant and unimportant. And they have pointed to pauses in that rise in an attempt to claim that CO2 is not having an impact. These false assertions only serve to distract from the larger issue even as the physical changes happening to our world vastly belie these arguments. In context, the increase in temperature has already been enough to result in some rather dramatic changes. 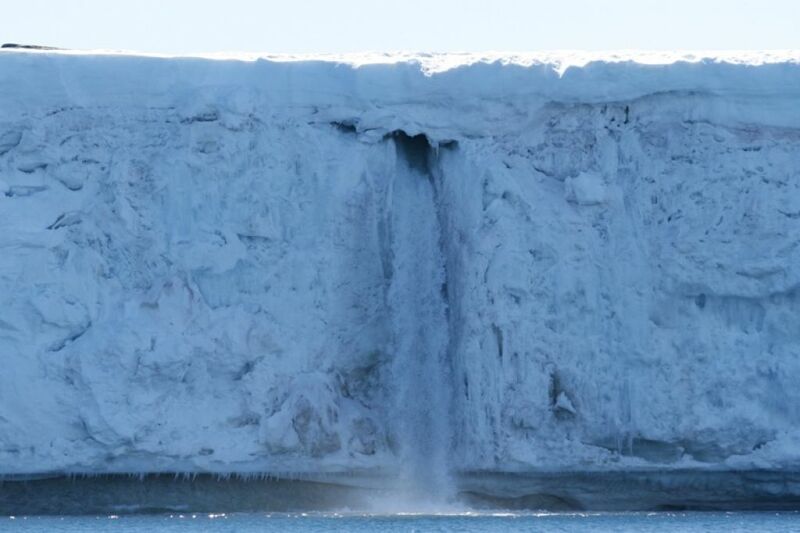 Some of the most visible have been to our ice sheets and glaciers. Others include increased extreme weather events, droughts, and fires. 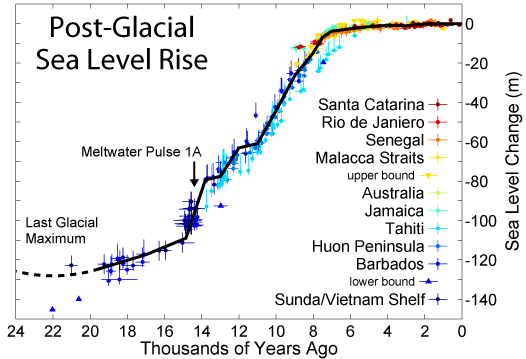 So, in the context of Earth’s climate, is the rise really so small? By comparison, we can take a look at the last ice age. During that time, temperatures were, on average, about 5 degrees Celsius cooler than the 20th century average. This temperature change is about six times that currently caused by human greenhouse gas emissions and related feedbacks. In other words, human forcing on climate has already created a difference equal to 1/6th that of an ice age. But this time, the change is in the direction of hot. This change is, arguably, quite significant. And the physical changes in our world caused by the added heat, along with the likely feedbacks that will further enhance heating, lend support to this assertion. This 1/6th difference, therefore, is just a start. And, looking at paleoclimate, we can see that current CO2 levels of around 400 ppm lead to additional changes. 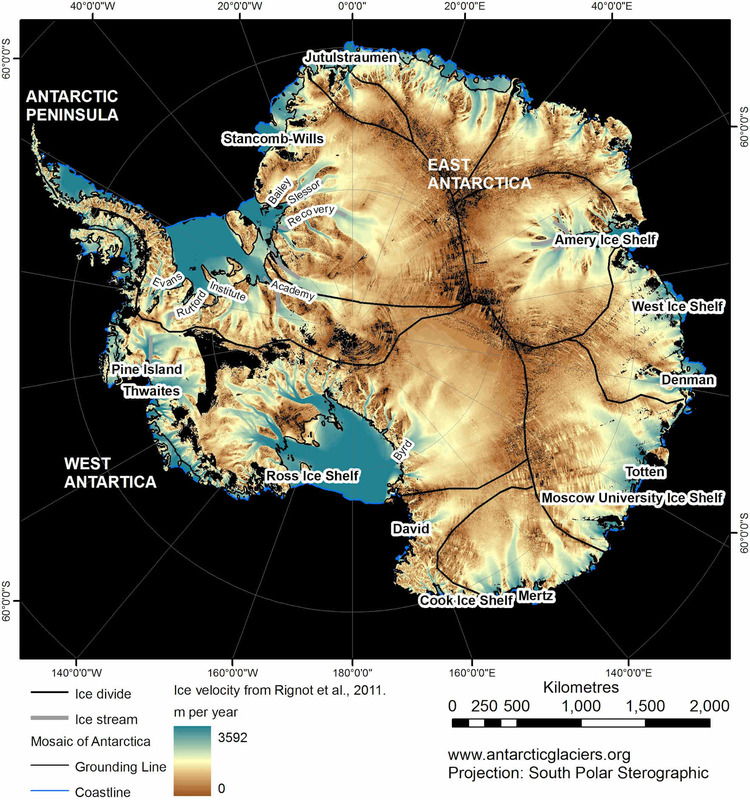 These include another 2-3 degrees Celsius of warming and the melting of Greenland and the West Antarctic Ice sheets. These are rather large changes brought about by current levels of CO2 in the atmosphere. They are about equal to half an ice age, but on the hot end of the spectrum. Yet our current situation isn’t static. The world’s fossil fuel based industries are pumping ever increasing volumes of CO2 into the atmosphere. The Earth is beginning to respond by pumping its own carbon into the atmosphere — primarily methane from heated tundra and seabeds. 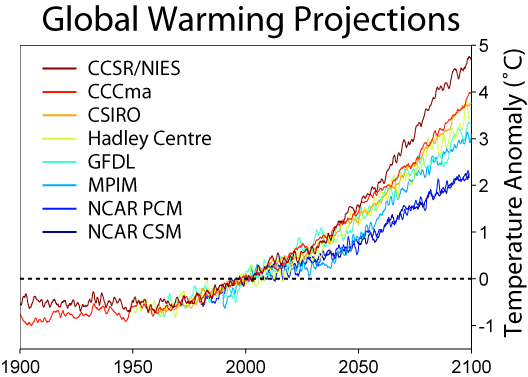 Current climate models project temperature increases between 2.2 and 4.7 degrees Celsius additional warming. The average values of these figures is 3.45 degrees Celsius. And when added to the current .8 degrees of warming we get a 4.25 degree increase. 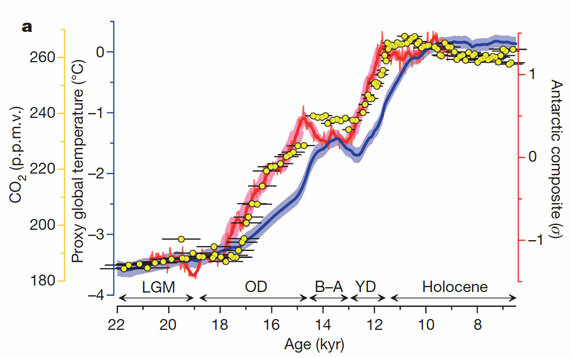 That’s essentially the difference between the Holocene and the last ice age. In this case, however, the temperature difference is on the side of hot. But what is most critical are the expected greenhouse gas concentrations by end of century under business as usual fossil fuel burning. Many studies are now showing that CO2 levels will be in the range of 800-1100 ppm CO2 by that time. A recent MIT study showed 866 ppm CO2 by 2095. These levels of CO2 are almost unimaginable and long-term will likely result in far greater warming than the climate models predict. It is worth noting that the model estimates have been well behind actual sea ice melt. And it is also possible that model projections will lag behind temperature increase once the more powerful feedbacks start kicking in. The MIT study demonstrated the potential for a phenomenal final equilibrium temperature increase of 16 degrees Celsius at 866 ppm CO2. This change in temperature is equal to about three times that of the last ice age, but on the side of hot. But even if the, likely conservative, models are only off by a little, we are headed toward what amounts to the opposite of an ice age by the end of the 21rst century. What we are looking at, should we not vastly curtail fossil fuel emissions, is what amounts to an Age of Fire.